Master Sergeant Christian “Mack” MacKenzie has been selected to represent the U.S. Special Operations Command’s Care Coalition as Grand Marshal at the Seminole Hard Rock Gasparilla Pirate Fest Parade of Pirates on Saturday, January 25. “When we announced Care Coalition would be Grand Marshal for the parade, we all agreed these folks were true heroes,” said Seminole Hard Rock’s President John Fontana. Care Coalition, an agency within the U.S. Special Operations Command at MacDill Air Force Base which supports wounded, ill or injured Special Operations Forces and their families, was chosen in November as the Grand Marshal for the parade. 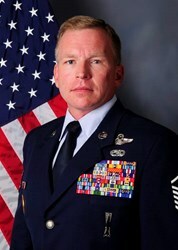 MSgt MacKenzie, who enlisted in the Air Force in 1991, was critically wounded while conducting missions in Fallujah, Iraq in 2004. A rocket propelled grenade struck the cockpit of his helicopter and he suffered facial trauma, a traumatic brain injury and the destruction of one eye. He spent 16 months in and out of the hospital while enduring numerous surgeries and painful rehab before returning to full active duty and being re-instated as an Enlisted Aviator. It was while working as an Air Force Family Liaison Officer for a critically wounded Airman at Walter Reed Army Medical Center when MSgt MacKenzie was noticed by the U.S. Special Operations Command’s Casualty Assistance Liaison Chief. It subsequently led to him being assigned to his current position at USSOCOM’s Care Coalition headquarters where he continues to serve all of the Special Operations wounded, ill and injured. Given his professionalism and vast amount of experience, MSgt MacKenzie was also named to the Department of Defense’s Recovering Warrior Task Force where he helped evaluate and improve all of the Wounded Warrior Programs. He reported directly to the Secretary of Defense. Married with two daughters, MSgt MacKenzie has been awarded a number of military decorations over the years including the Purple Heart, Defense Meritorious Service Medal, five Air Medals, Air Force Combat Action Medal and two National Defense Service Medals. The Care Coalition was founded in 2005 and has about 80 employees, half based locally at MacDill Air Force Base. The employees are a mix of active and retired military, plus civilians with special skill sets, registered nurses and social workers. The Seminole Hard Rock Gasparilla Pirate Fest Parade of Pirates, which kicks off at 2 p.m., will include colorful costumes and festive music. It will also contain more than 90 elaborate floats, 14 marching bands, over 50 distinct Krewes and the infamous YMKG pirates. Seminole Hard Rock Hotel & Casino in Tampa recently completed a $75 million expansion, making it the world’s sixth-largest casino, based on gaming positions or number of seats at a table or slot. This ultimate entertainment destination features 118 table games including Blackjack, Mini and Midi-Baccarat, Pai Gow Tiles and Poker, Three Card Poker and Texas Hold ‘em Poker, along with over 5,000 slot machines and a smoke-free poker room with 50 tables offering high stakes action. The luxurious High Limit Table Games Room features 17 tables for blackjack and midi-baccarat and offers higher table limits, a personal cashier and attentive bartenders. For the sixth year in a row, the American Automobile Association (AAA) has awarded this 250-luxury room hotel its prestigious Four Diamond rating. Guests can enjoy a new pool area and restaurants including the Hard Rock Cafe Tampa, part of Hard Rock’s 142 globally recognized rock ‘n’ roll themed restaurants, the award-winning Council Oak Steaks & Seafood Restaurant, and Rise Kitchen & Bakery™, which features freshly baked breads and entrees made with fresh ingredients. The new Asian gaming complex Jubao Palace features 17 table games and an accompanying 15-seat, quick service noodle bar. Valet and more than 5,000 free, self-parking spaces are available. 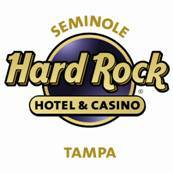 The Seminole Hard Rock Hotel & Casino Tampa is located off of I-4 at North Orient Road and Hillsborough Avenue, between I-75 and I-275, about 10 minutes east of downtown Tampa. For more information, please call 1-800-937-0010 or visit us online at http://www.seminolehardrocktampa.com or http://www.facebook.com/seminolehardrocktampa. Follow us on Twitter at http://www.twitter.com/SHRTampa. *Editor’s Note: Leading up to the event, Msgt Mackenzie will be doing media tours. A media alert detailing his availability will be distributed in the coming weeks.